Robert Havlin will have the total support of John Gosden and his wife Rachel Hood as he attempts to overturn a six-month drug ban in the French courts and persuade the BHA not to apply the sentence imposed by France Galop in Britain. Gosden and Hood said the jockey had been the victim of "a gross miscarriage of justice" having been suspended by the authorities in France until October 4 after the completion of three hearings into the case. 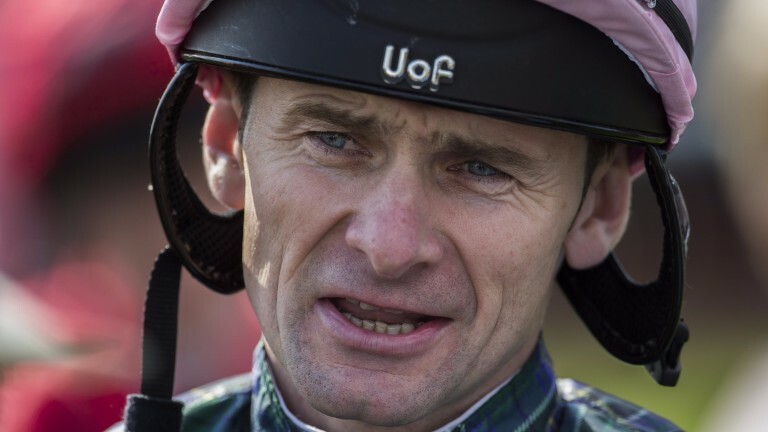 Havlin, who has consistently denied any wrongdoing, was riding for Gosden at Saint-Cloud on October 30 last year when he gave a urine sample later found to contain traces of a number of drugs including cocaine. A report in The Daily Telegraph on Monday claimed there were a number of irregularities in the sampling process that were ignored by stewards in France which Havlin's lawyer would seek to highlight in a legal challenge. Gosden, who has employed Havlin for 17 years, and Hood had accompanied Havlin to Saint-Cloud, where he was riding Crazy Horse in a Group 3 race and the trainer said the jockey had taken pills earlier in the week after hurting his back. Gosden said: "This other talk is complete madness. He was riding for me through the week and riding the night before at Chelmsford. He came to my house and we took the train together with my wife. He was with me the whole time. "We stand behind him the whole way and we'll go to the French courts. It's expensive and time consuming and wearing but it's a completely false accusation, it's a Kafkaesque nightmare but we will pursue it all we can." Hood said: "We support Rab and believe he has been the victim of a gross miscarriage of justice and he hasn't been fairly treated." Havlin has turned to the courts having exhausted the appeals process at France Galop, which did not accept his claims there were problems with the collection of his sample and he may have been accidentally contaminated. Havlin did not contest the presence of three banned substances contained in medication he was taking for a back injury, and argued he believed he had observed the appropriate delay before riding. Havlin has been riding for 27 years and enjoyed his best campaign last year, when riding 81 winners including the Gosden-trained Richard Pankhurst in the Group 2 Hungerford Stakes at Newbury. Havlin, who rides out three lots a day for Gosden, has not ridden since January 26 and feels unable to comment pending his legal challenge in which his lawyer in France could seek to have the ban lifted until the courts hear the case in full. In Britain, barrister Graeme McPherson has been engaged to try to persuade a BHA disciplinary panel not to reciprocate the penalty. The application, which will be heard by an independent panel, will not be a rehearing of the charges. The panel will consider whether France Galop followed procedure and the principles of natural justice, or whether the penalty imposed is "perverse". Whether Havlin would have been in breach of the rules in Britain is not relevant as jockeys who ride in other jurisdictions agree to be bound by their rules. BHA media manager Robin Mounsey said: "We can confirm that we have received the initial application for non-reciprocation from Mr Havlin. When we are provided with further information from him and/or his representatives we'll be able to proceed with considering the application."